Gilda’s LaughFest is inviting all students, educators, and schools to be a part of our 10-day festival of laughter, scheduled for March 7-17, 2019, by having your students participate in our ‘What Makes You Smile?’ program! The act of having students create an artistic piece in the classroom gives you as an educator a motivating and inclusive tool to integrate academic studies and the Social and Emotional Learning Standards. Demonstrating awareness of emotions and the levels of intensity are key points in those standards, and creating art pieces can stimulate and provide verbal and non-verbal expression about emotions. Laughter benefits us not only emotionally, but also physically. In the spirit of Gilda Radner and in line with the mission of Gilda’s Club, LaughFest highlights the importance of laughter. When: Accepting participations January 1 – March 1, 2019. 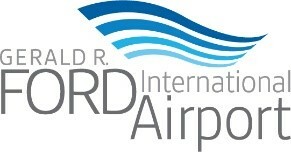 What: LaughFest has teamed up with the Gerald R. For International Airport to highlight LaughFest and West Michigan area students through the “What Makes You Laugh?” program. Students receive an 8”x8” print LaughFest smile and are asked to write or draw about what makes them smile or laugh! These smiles will be on display at the airport, as well as Gilda’s Club Grand Rapids, in the lead up to and during the 10 days of LaughFest. We provide the smiles; your students provide the creativity and laughter! What do I as an educator need to do? 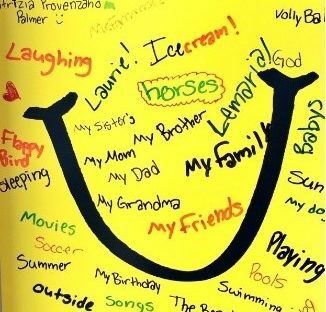 – LaughFest will deliver the “What Makes You Smile?” 8×8 print smiles so that students can easily participate. – We would appreciate you sharing this information with your students and their parents, and taking some time in the classroom to have them participate. – Before creating the designs on the smiles, consider having a discussion with your students on the topic of laughter. Here are some suggestions to guide the conversation: How is laughter important in our lives? What do you think when you hear the sound of laughter? Who in your life makes you laugh and why? Victor Borge said “Laughter is the shortest distance between two people” – what do you think Mr. Borge was referring to in this quote? Submission Guidelines: Entry is free. Please mail or deliver entries to: Gilda’s LaughFest, Attn: Mitch Neubert, 1806 Bridge St NW, Grand Rapids, MI 49504. Accepting submissions January 1 through March 1, 2019. Questions? Please contact Mitch Neubert at 616.453.8300 x111 or mneubert@laughfestGR.org!